The book was to launch in North West Pakistan in the district of Peshwar. Malala is the girl who was shot in the head by the Taliban after campaigning for girls education rights. The book is a memoir and controversy has been ignited from the day it was supposed to launch and was cancelled; which is down to local officials pressurising for the launch to be cancelled on the day of Tuesday 28th January, 2014. The story has developed since then with the involvement of government and the police, informing the University of Peshwar, with whom the book was to be launched and the University being told on numerous occassions that the launch should be cancelled, and then further urged to cancel the massive event, with concerns for safety being stated. The organizer’s have protested their view that they saw this cancellation as a political means to cause disruption to their official book launch. Malala, aged 16, has had her book referred to as controversial and the author herself referred to as fearless in her memoir accounts of shocking events within the book. Imran Khan the former Pakistani cricketer turned politician said of the incident via tweet On Tuesday morning: “I am at a loss to understand why Malala’s book launch stopped in Peshawar. PTI believes in freedom of speech/debate, not censorship of ideas”. PTI the party of Imran Khan and also the party that runs the province of Peshwar seemingly were for Malala’s book launch, yet the University have made the public aware that it was down to governmental intervention that stopped the launch. The district of Peshwar is known to be attacked by taliban militants frequently, and it has been reported that store keepers have been threatened not to stock the book by the taliban. 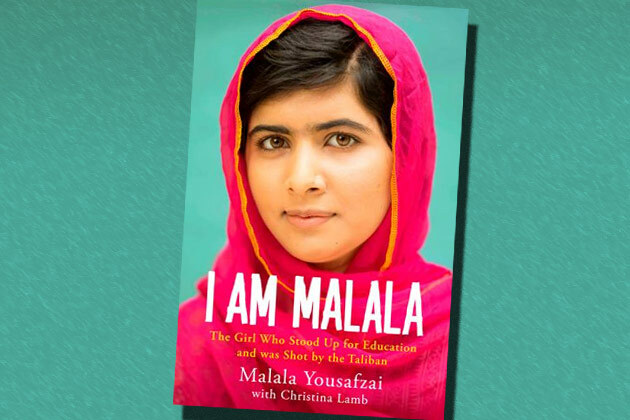 Oct – I am Malala Book was published! Throughout the busy schedule of her’s, Malala managed to get her book published and as for the launch it has unfortunately been postponed, so now it’s a matter of time before the book is out and the next launch will continue to be controversial, although many will be hoping it is not cancelled, next time around. Has this sought to make Malala’s campaign stronger? And the Taliban’s weaker? What will the government do to ensure she will get her book launch?